Last Wednesday was an epic night for MimiCuteLips. 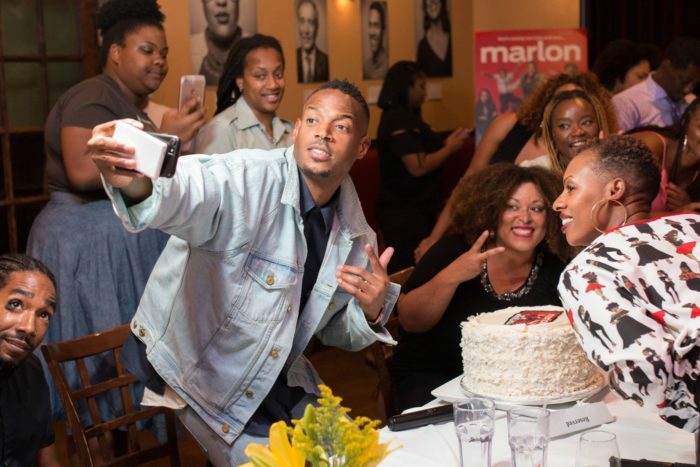 I joined my fellow DC media for dinner, cocktails, Marlon Wayans and the premiere of his new show Marlon on NBC. 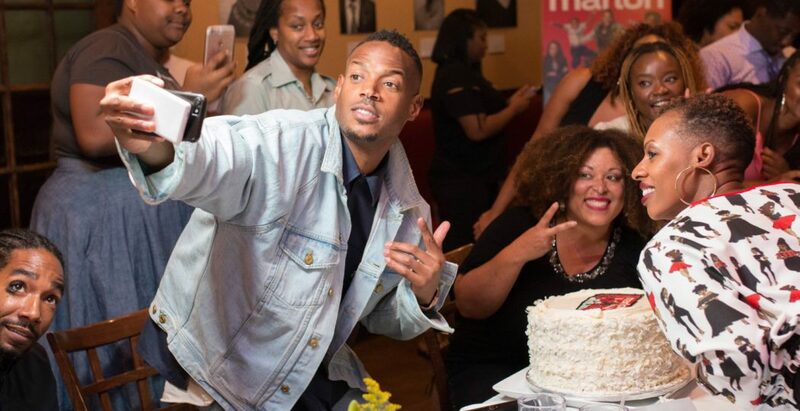 The Wayans family is a comedy dynasty. They have done iconic shows/movies like, In Living Color, I’m Gonna Git You Sucka, Mo’ Money, The Wayans Bros., Scary Movie, White Chicks, and more. This is day two of our parent cation so it was nice to get dressed up and hit the town. 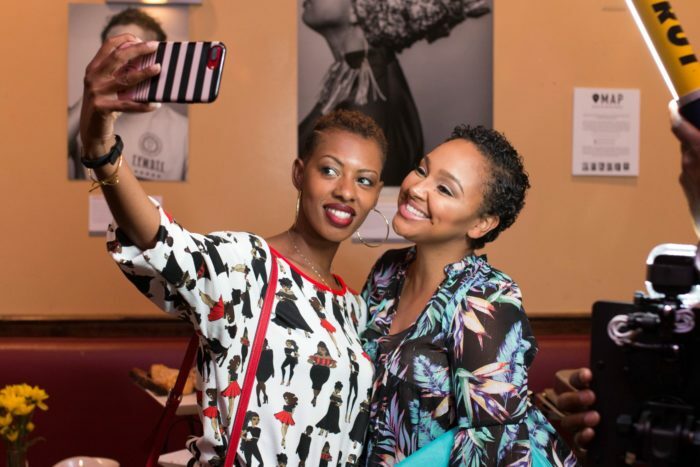 Our media dinner took place in the Langston Room at the Busboys and Poets on U Street, in Washington, DC. 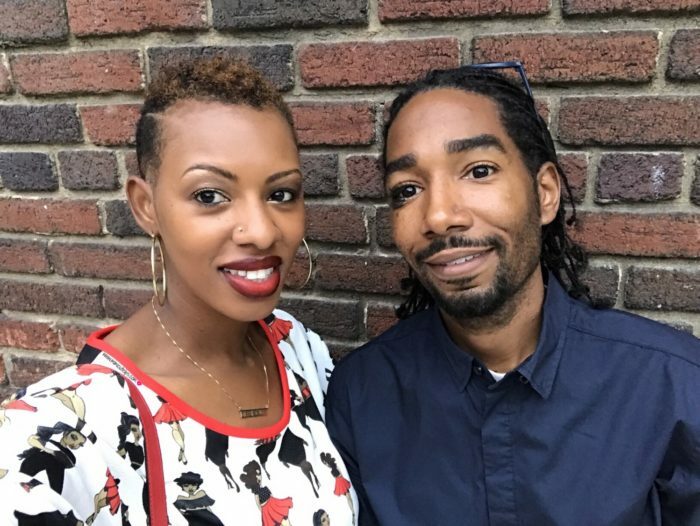 Loosely inspired by the real-life of star Marlon Wayans, this update to the classic family comedy centers on a loving (but immature) father committed to co-parenting his two kids with his very-together ex-wife. 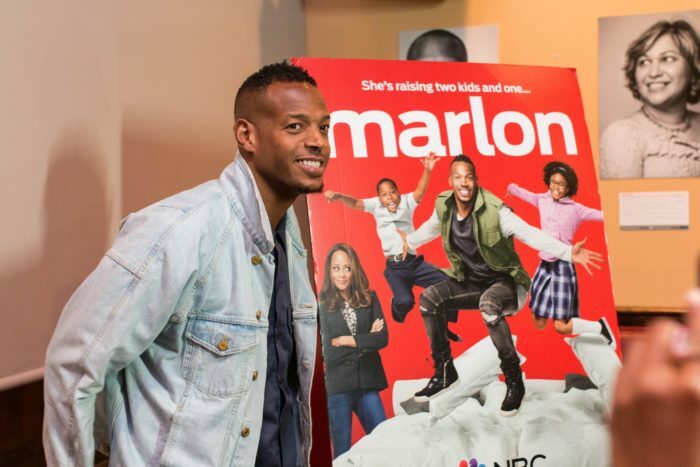 While his misguided fatherly advice, unstoppable larger-than-life personality and unpredictable Internet superstardom might get in the way sometimes, for Marlon, family really always does come first – even if he’s the biggest kid of all. 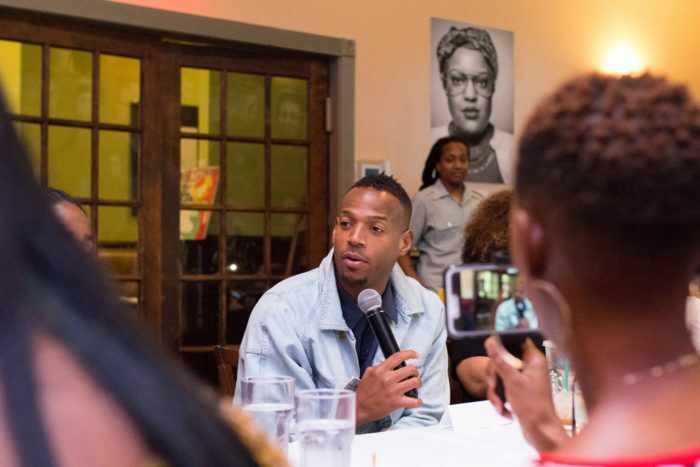 The cast includes Marlon Wayans, Essence Atkins, Notlim Taylor, Amir O’Neil, Bresha Webb and Diallo Riddle. When Marlon walked in the room he walked around the table and shook the hand of every single person. That speaks to a person character. Disclaimer: Adult languageMarlon thanked us for attending and said we were his family for the night. He usually watches his premiers with his family, but he was on a media tour so we had to fill their shoes. I’m proud to say he told us we didn’t disappoint. We definitely showed him, mad love. I kicked the interview session off with a question, from there we went around asking questions until the show started. Then we watched and live-tweeted. During the commercial breaks, we would resume the q&a session. I love this here media life. We laughed, and laughed and laughed some more. Marlon said it was dope to listen to a live audience. They presented him with a cake and we joined in for a selfie. Peep Babe in the bottom left corner. Marlon was seated beside him all night. My Boo Danni Starr was in the building. Danni is on 93.9 The Fam in the Washington, DC area and on TLC. The evening isn’t complete without a photo, we took two for the night. Babe snapped a picture too. Marlon posted our group picture on his Instagram and Facebook page. 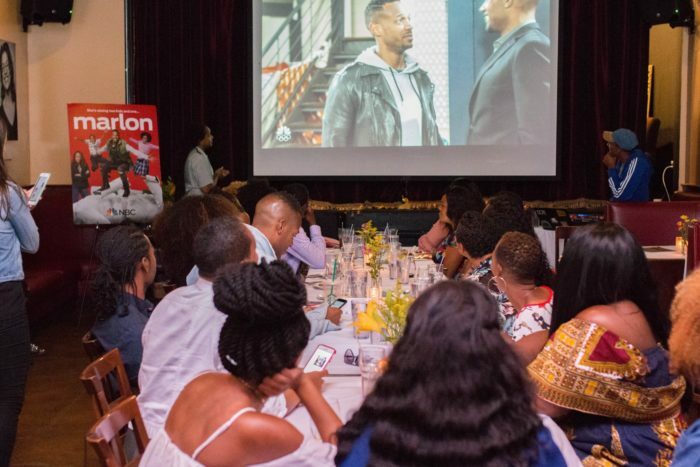 The Marlon show is hilarious, it is a nod to the black comedy shows in the 90’s. Think Fresh Prince of Bel Air, Martin, and My Wife and Kids which starred his famous brother Damon Wayans. Marlon is a family show, I look forward to watching with the kids when they return from vacation. 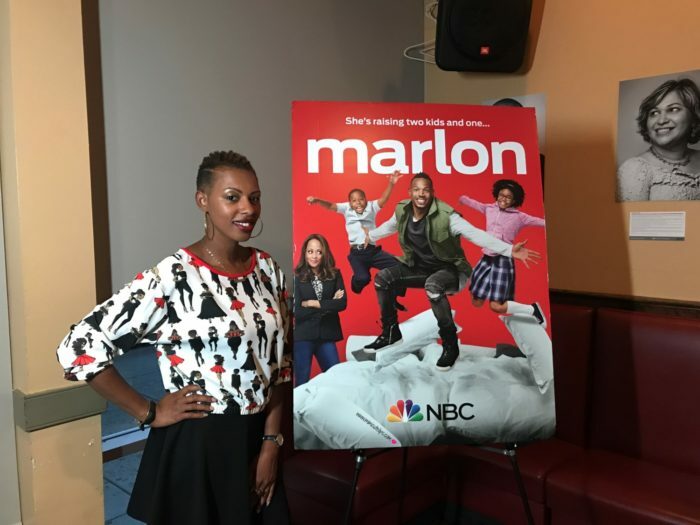 Marlon airs on Wednesdays at 9 PM ET/8 C on NBC. Two 30 minute episodes air back to back. Tune in and let me know what you think. Did you watch last week? Chat with me in the comments below or FB, IG, and Twitter. Yes, girl it was a nice surprise. You know the food is so delicious. Another cool event. I watched the show and while I thought it had some funny moments, I quickly became annoyed at how silly he was. It was like having kids with a silly teenage boy. I won’t be adding it to my “to watch” list. He is really silly, I will say he matures a bit. I’ve been six episodes and things get serious. It was nice to see him get serious and show up for his kids in that way. First, your hair and outfit are so cute!!! Second, what an AMAZING experience and how cool is it that your husband was able to go too! Thanks, Carissa. It was an incredible night, I had the best +1 with me. The kids were gone, we laughed, we strolled the city. Pretty freaking dope. The show looks like it is going to be hilarious. My tv does not usually leave HGTV or Food Network when it is on but I have seriously considered recording this show after seeing the previews. It is super cool that you were able to meet and chat Marlon in person. Tia, it is hilarious. Set the DVR and record it, you will laugh the entire episode. It was so dope meeting and hanging out with him. Oh my goodness that would’ve been so cool! What a cool night to hang out with a celebrity. Sounds like you guys had a fun time. It was so much fun, I needed this. What an incredible event, I have loved the Wayans family for yonks and used to watch there comedies big time. Me too, that is why I’m so happy to see them back on TV. That looks like it was such a fun night. Marlon has always been so funny, I’ll have to look for this show. Lisa, the should is hilarious and family friendly. 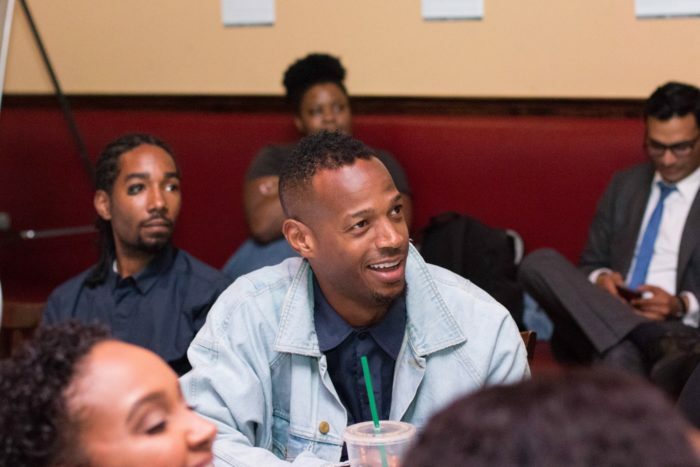 It looks like Marlon Wayans brought in a ton of laughter in your event. I was able to watch his movie and his really funny and effective. It’s so cool that he sat down to watch the show and answer questions with everyone! Marlon sounds like a really cool person! He was even cooler than I imagine him to be Liz. Now that sounds like one cool event and what a surprise to have Marlon himself turn up! That is absolutely incredible! It was so freaking incredible. A great highlight of the year for sure. I’ll watch it! I’ve always thought he was funny. I’ve seen a lot of his movies. No friggin’ way! I love the Wayan brothers. Looks like you had a spectacular time with lots of laughs! (I wouldn’t expect any less). Laughs on top of laughs Lisa. This looks like such an incredible event. It would have been so much fun to have partaken in this opportunity. THanks for sharing your experience. THanks, Jenn. It was so dope and the company was incredible. I love comedies, especially when it’s been a day ! He looks like he could be a character and he’s is really cute! I will have to check this show out! WOW, I would have been totally starstruck! 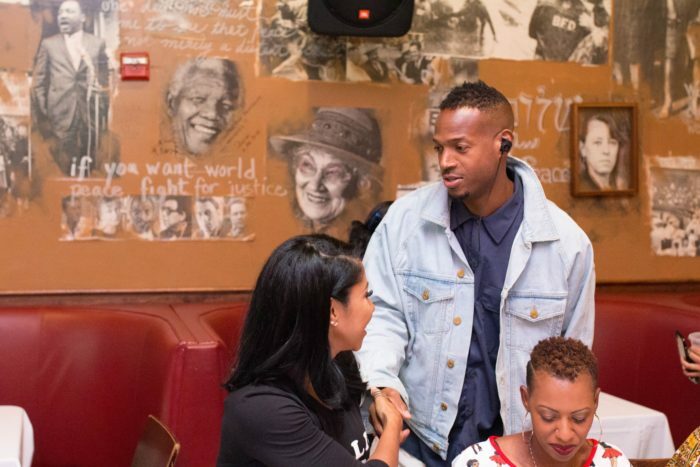 What an awesome event – Marlon Wayans is SO funny! He is so down to earth that I was relaxed. I am really looking forward to this show. I love the Wayans brothers and it’s great to see them still making families that look like us happy. Tune in Wednesday night and watch with the kids. LOve the video of you guys interacting with him. It;s nice that he likes to have some boundaries when doing a show. Thanks Rose, yes. I respect that he knows he needs some to keep him from going to far. You guys were lucky you got a double celebration with him! I love how personable he was and humble and I wish Marlon but the best! Its a really funny show! Yes, it was really up close and personal. The fact that he is personable is the ultimate experience. I love the show. It was really funny. I’m glad to see another black comedy on television. I am a huge fan of the Wayan Family. Looks like you had a great time. Me too Katherine, I will be tuned in weekly. I love to read about events like this. 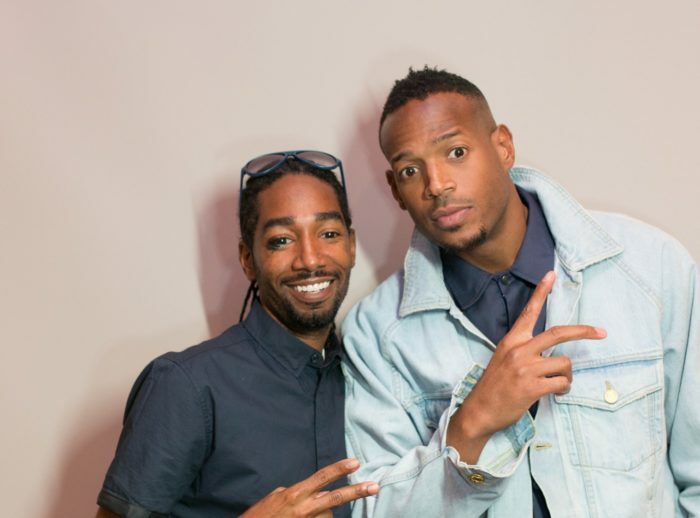 It looks like so much fun and Marlon Wayans sure looks like a really down to earth kind of guy. Thanks for sharing your experience! Looking forward to watching the show. Annemarie, he is one of the most down to earth celebs I’ve met. Your husband sure is a great guy! In the photos, he really looked like he was genuinely interested in the event. 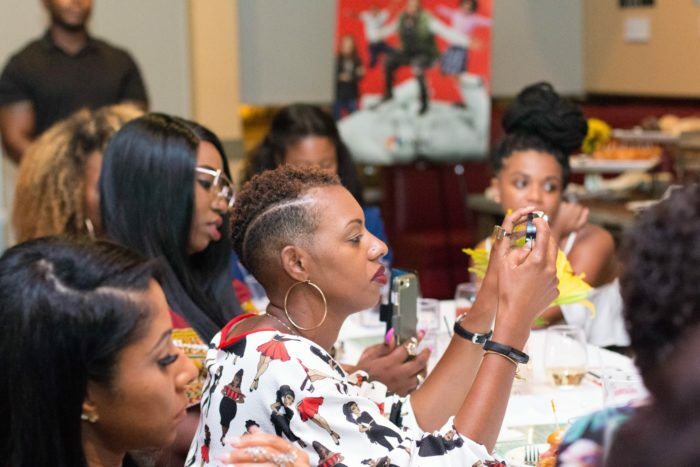 My husband would have rolled his eyes a gazillion times if I took him to an event like this. This looks like it will be an awesome show to follow and look forward to. Thanks for sharing your photos and your experience with us. 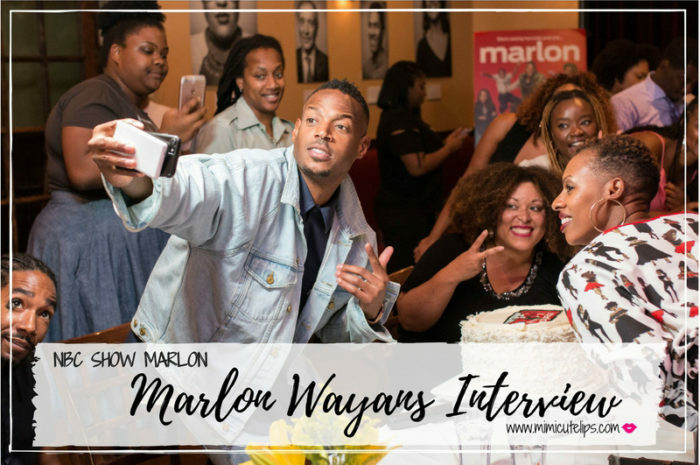 Marlon Wayans is hilarious and I really can’t wait to see his new show! I hear it’s great! It is so hilarious and family friendly. I heard about the show, but I haven’t watched yet. I made a deal with someone to get caught up on Power which I haven’t watched at all. So I have like 2.5 seasons of that to catch up on, and then I will have to check Marlon at. I know it’s hilarious! Hahaha. Power is good, get caught up and then check out Marlon. This looks super fun, you always attend the best events. I like that fact that he shook hands, answered questions and talked to you all because we all know some stars are just not that personable. I am going to have to check this show out! 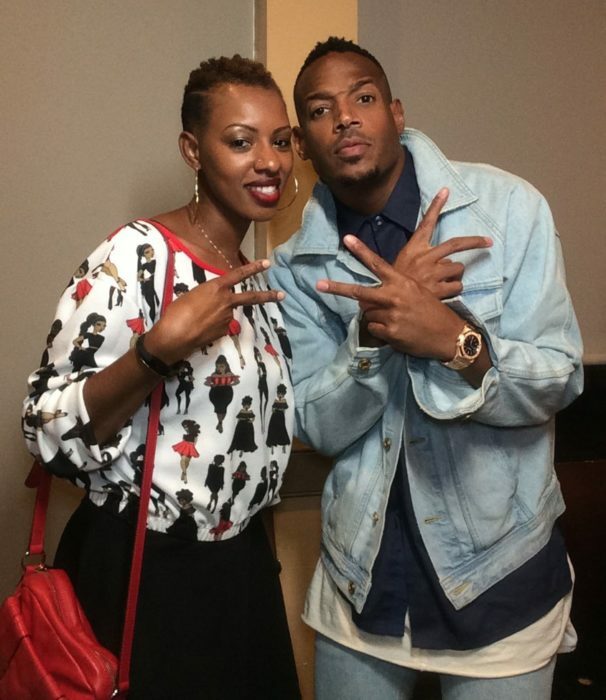 I love the Wayans family they are super talented. Exactly Tiffany, his parents raised him right and that was telling. It made me like him even more. It sounds like such a fun event – and such a great, funny show! I’ve been seeing the commercials for it and I definitely want to watch. I’m always looking to add shows to my TV schedule haha! Yay Adriana, let me know what you think. Man! What an awesome opportunity! 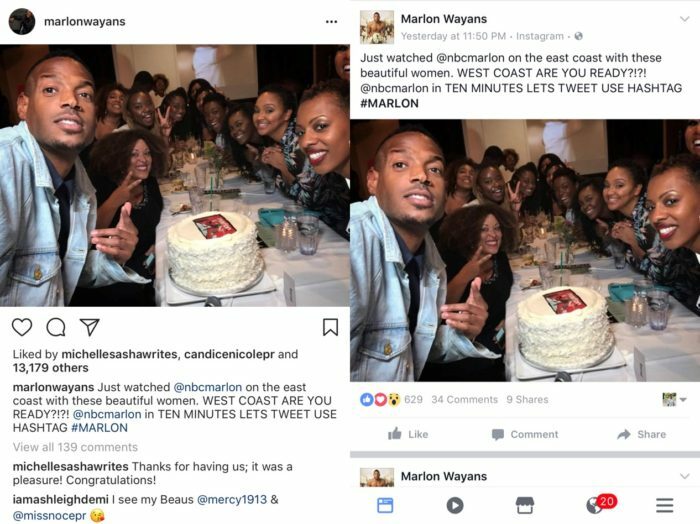 I have loved the Wayans since forever and Marlon is simply hilarious. I watched this week’s episodes last night. It’s laughter from beginning to end! He is so funny, like you I’m and old school fan.